Is noise the most neglected green issue of our age? 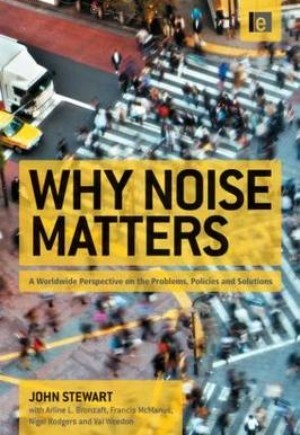 This book argues compellingly that it is, and tells you all you need to know about noise as a social, cultural, environmental and health issue. Across the world, more people are disturbed by noise in their day-today lives than by any other pollutant on Earth. From the shanty towns of Mumbai to the smart boulevards of Paris, noise is a problem. It is damaging people's health, costing billions, and threatening the world's natural sound systems in the same way that climate change is altering its eco-systems. Drawing on evidence from all over the world, this book showcases policies and strategies that have worked to decrease noise pollution, and offers lessons for policymakers and environmental health professionals, campaigners and any individual affected by noise. Written by a renowned noise campaigner and experts in law and health, this book tells you all you need to know about noise as a social, cultural and environmental issue and how we can act to build a more peaceful world.